The design materials that we have available when designing digital artefacts expands along with the technological development, and with the computational machinery it is possible to augment our physical world in ways that challenges our perceptions of the objects we interact with. In this project, we aim to change the users perception of what a glass is – both cultural and technical. 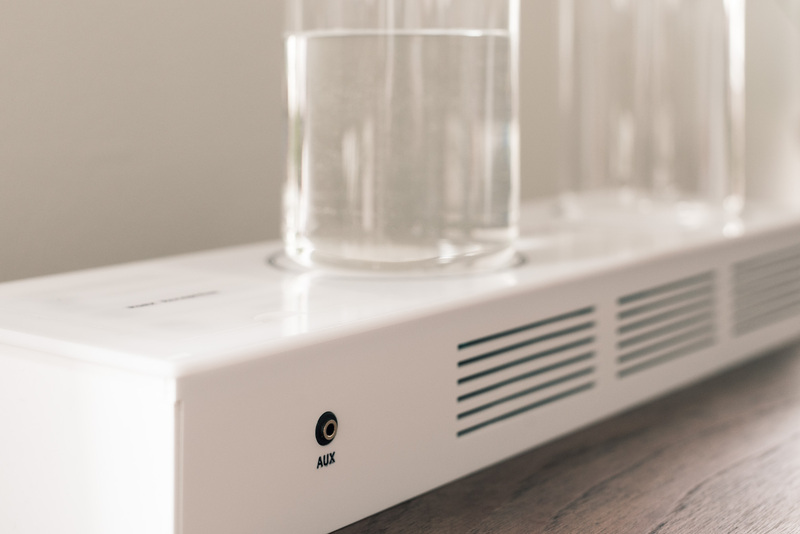 The Pour Reception radio has internal speakers, an AUX input, a small guide, and an interface of two glasses resting on a smooth surface. 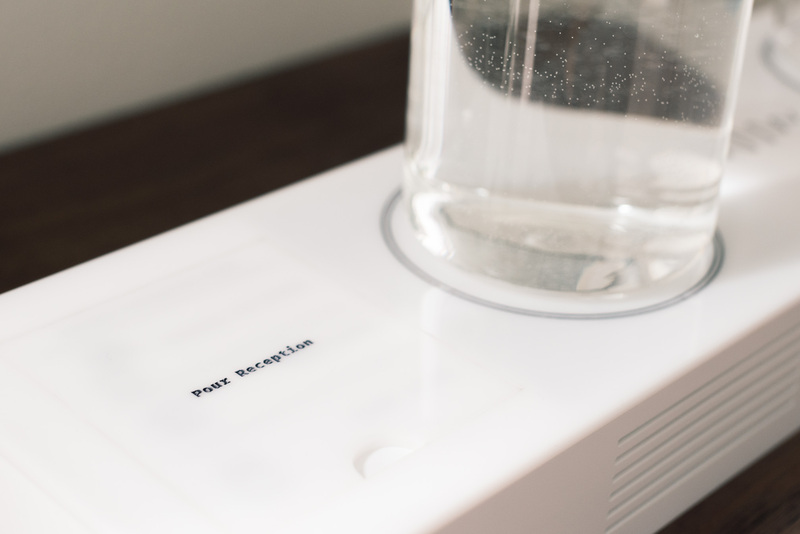 When adding water to one or both glasses, the radio turns on and invites the user to explore the interface that controls the familiar functionalities of a radio. A playful attitude and a puzzle inspired approach is almost required to create a new mental model for how the glasses functions as an interface. 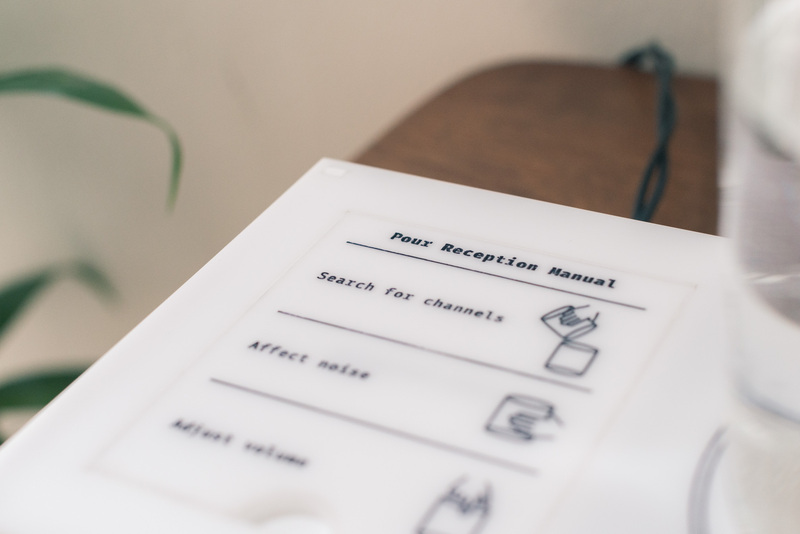 Instead of operating with dials and buttons, as one would do with a traditional radio, Pour Reception is operated by interacting with the glasses. Changing channel is achieved by pouring water from one glass to the other. Fine-tuning the channel, to filter off distortion and noise, is done by touching and grabbing a glass containing water. 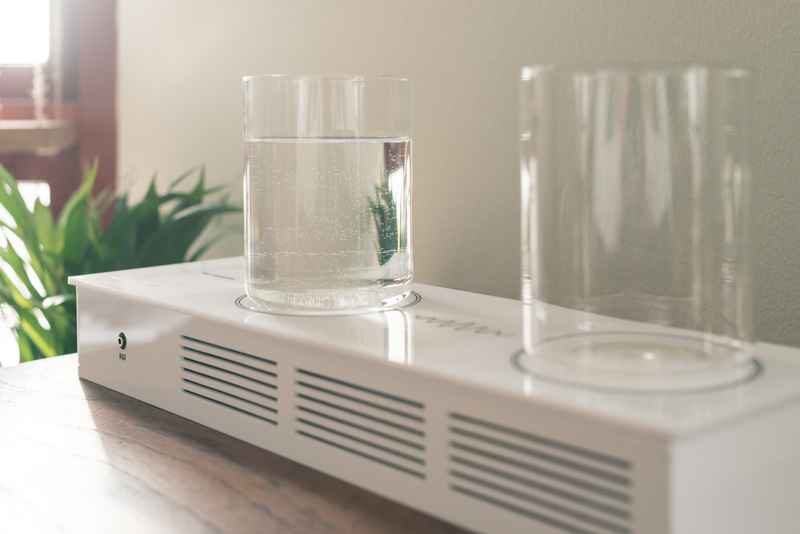 Finally, touching the water in the glass lets the user affects the volume of the radio. 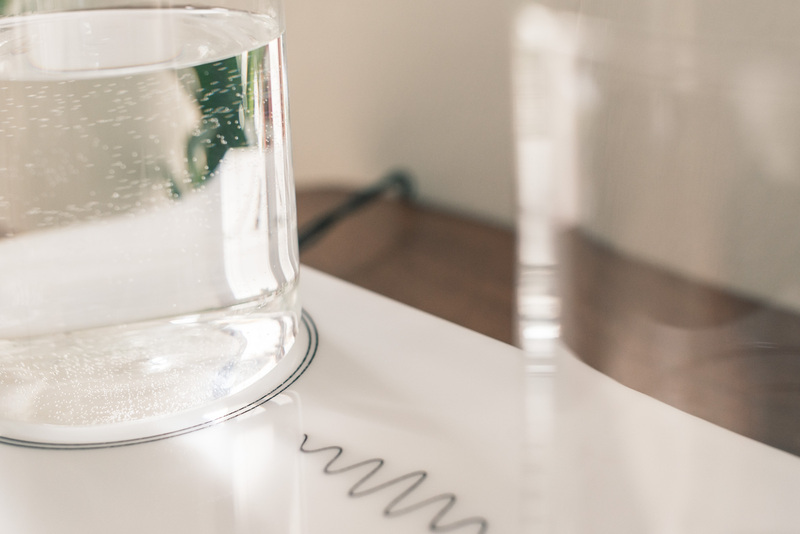 Pour Reception turns two familiar concepts upside down: the radio medium and two glasses of water. It is the combination of these two ordinary concepts that makes it a playful and surprisingly experience – most likely no one have ever been asked to used their knowledge from interacting with a glass of water to control a radio with (or any technology for that matter). Hence, Pour reception is an example of how technology can give new meaning to our cultural and functional perception of objects.The ambition is that after interacting with Pour Reception, you will be more reflective on how you interact with other digital artefacts – maybe you could also begin to see new things in other everyday objects and have a more playful meeting with the technologies that surrounds us. The technology of Pour Reception is based on capacitive sensing that can turn any conductive material into a sensor. 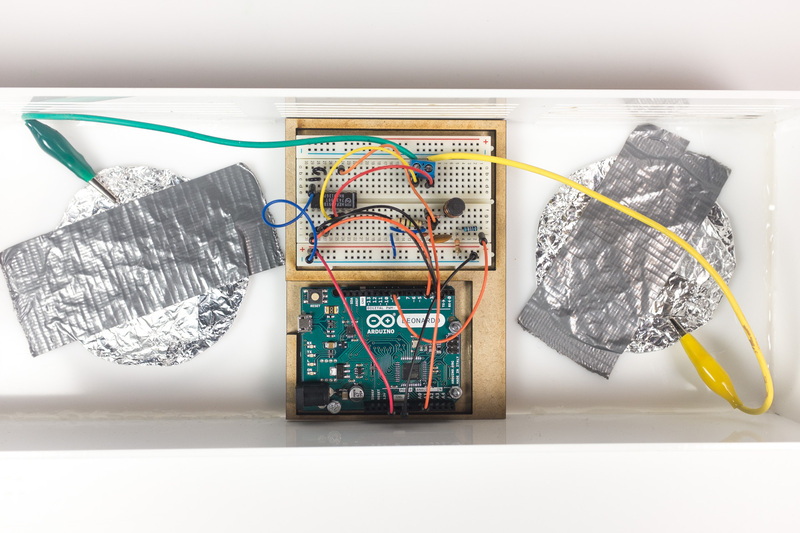 While there is several methods for creating a capacitive sensor with Arduino, we have used the Tact library by NANDStudio to create a capacitive sensor which are capable of making readings with rich details. Using these data readings together with Wekinator (an interactive machine learning tool), it is possible to classify various gestures when interacting with the glasses, and furthermore, map those gestures into commands for controlling the radio. 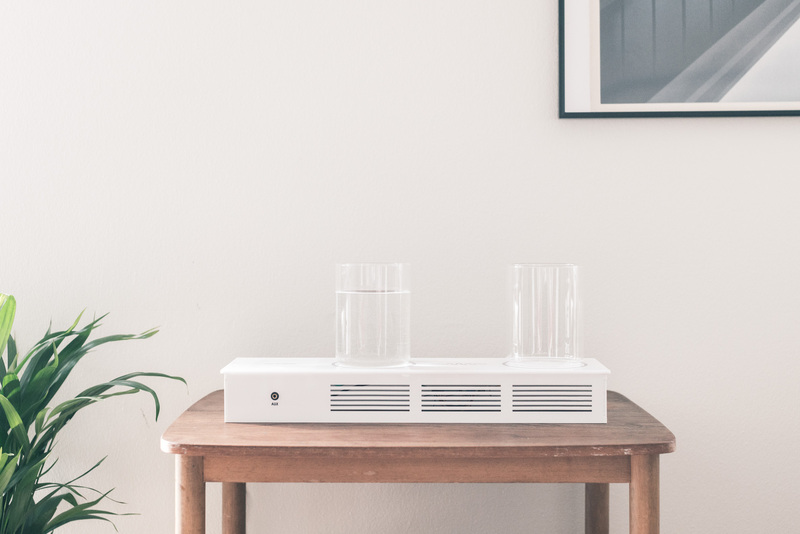 Another feature of capacitive sensing, that we harness, is how the readings of the sensor can be done through non-conductive materials (such as glass, wood, and acrylic). That makes it possible to create a “chain of sensors”, which allow us to hide the first link in the chain (aluminium plates) under the second layer (acrylic) and create an experience of soly interacting with the last chain (the glasses of water).